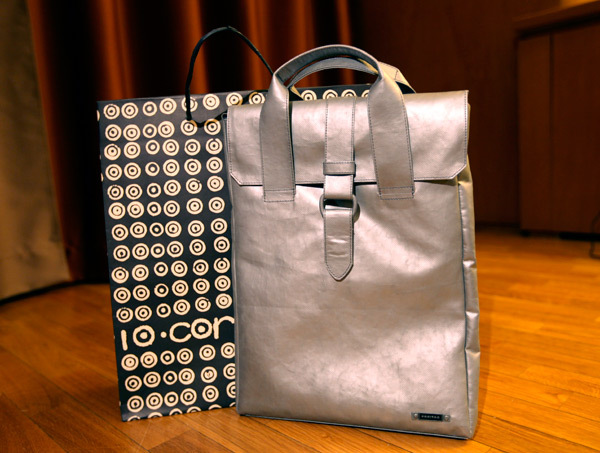 Ok, i kind of freaked out a little when i saw the new Freitag Reference collection Limited Editions over at 10 Corso Como, and instantly needed the laptop sleeve. 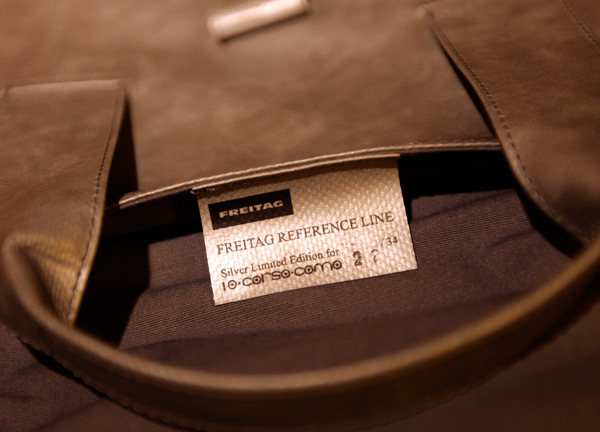 This feels like a classier more refined Freitag than what we’ve become accustomed to over the years. 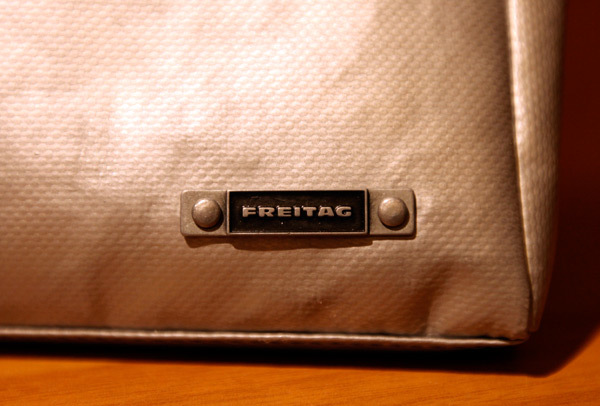 I had a Freitag wallet that was worn pretty thin through high school, and let’s just say that was about a decade ago… The messenger bags were usually pretty heavy and not so lined… still truck tarps though! 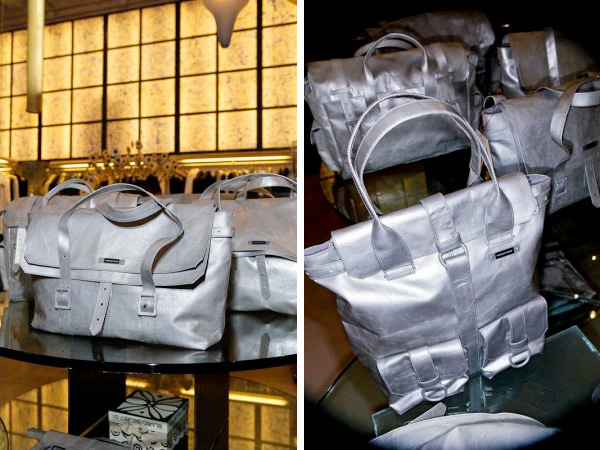 These SILVER limited editions pulled me right over… and they are lighter and lined with a nice light yet sturdy canvas. 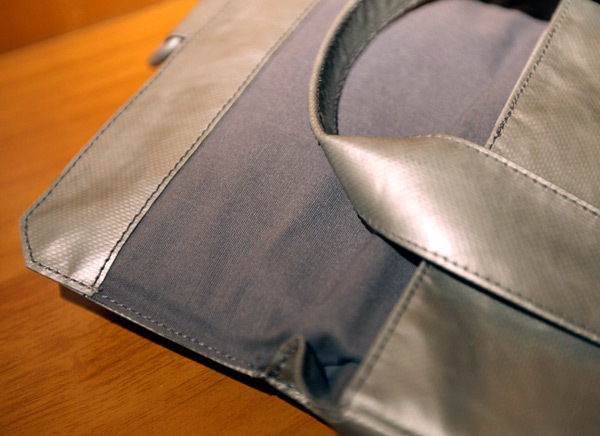 The Laptop sleeve also fits my requirement of no zippers… and has a magnetic clasp! Also the metal logo is darling… So it turns out that this is part of a limited edition series, 34 numbered silver pieces for 10 Corso Como, and gold pieces for Colette. How i never heard about them till now, is honestly, a little embarrassing. Apparently they dropped mid January… But better late than never? And i’m grinning and playing with the sleeve as i write this! 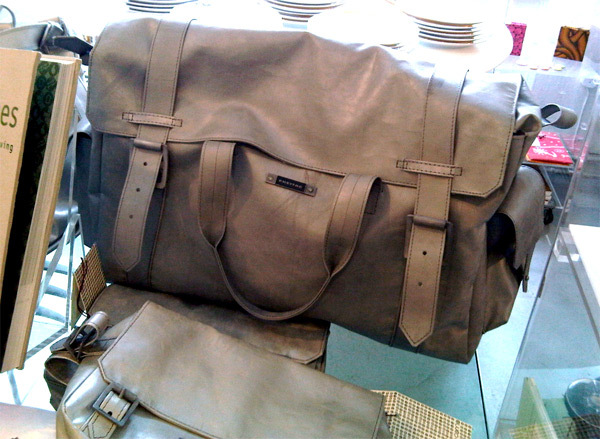 Also incredibly tempted by the overnighter bag… and i’ve been scouring the net to find more pics to see what else is in the collection, and came across HopeHope’s post mentions that this is a sneak preview of the collection to appear in Fall 2010. 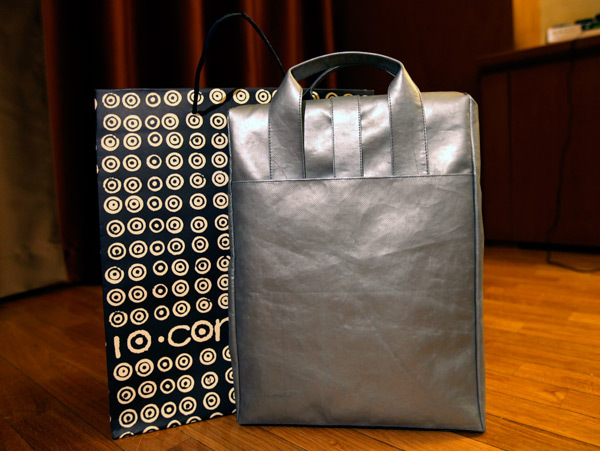 In addition to the laptop sleeve and overnight bag, i saw a larger tote, two wallets, and two ipad sized handbags… from the HopeHope pics it looks like there are messenger bags, vertical totes with pockets, and more. 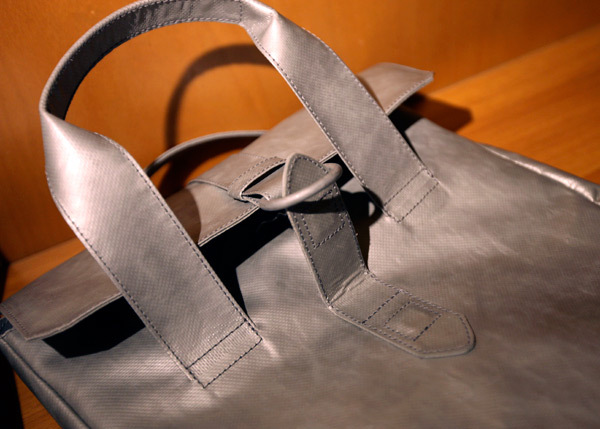 See closeups of the laptop sleeve and a peek at the overnighter… the details are stunning.